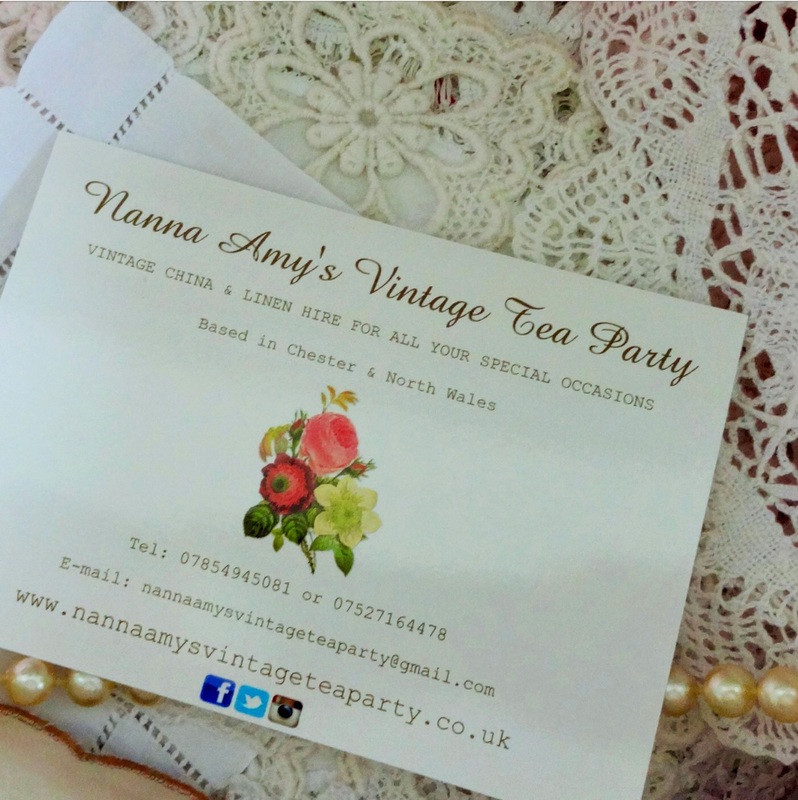 Vintage Tea Party- Nanna Amy Style! Hello dear Blogging friends! 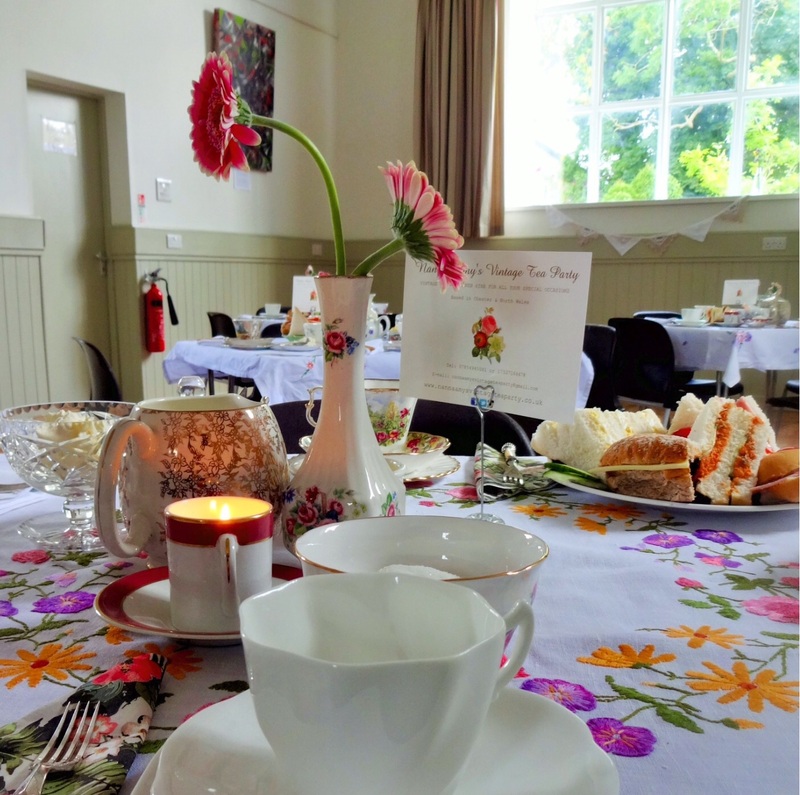 This week has seen the launch of Darling Daughter and my new business venture, Nanna Amy’s Vintage Tea Party. The launch day happened to be my birthday ( yes ANOTHER one!). 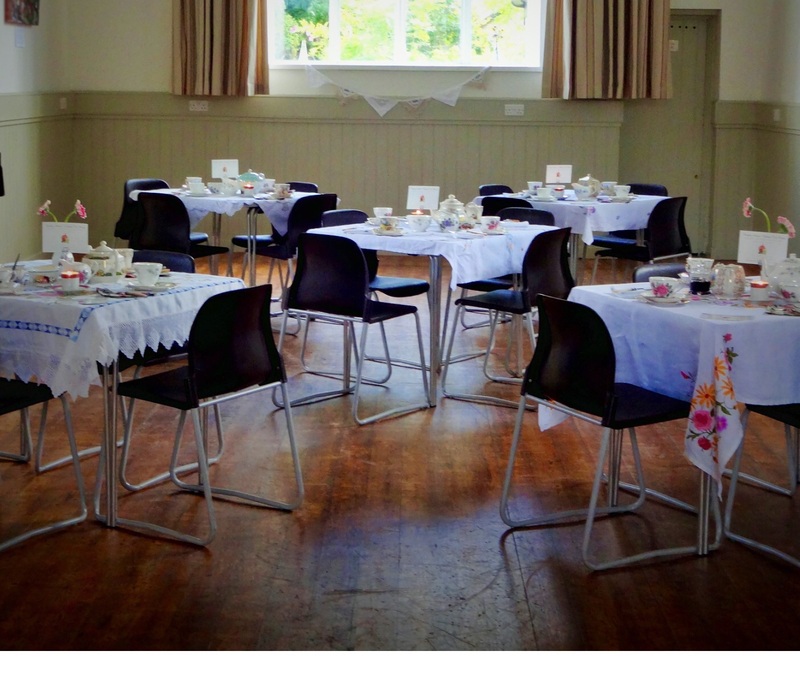 We used the excuse to have a tea party in the local village hall, it was fab! Invitations were printed and sent out. The embroidered cloths are just lovely many of which were embroidered by my Nanna Amy more than fifty years ago. I have spent weeks starching and ironing.Darling Daughter took the pictures and found appropriate Vintage music. We baked cakes and made sandwiches. The event was a practice run for us to see how our collection of vintage China and linens would look in a party setting. We learned a lot from this first party. It took quite a while to set up and clear away. We need more pastry forks, jam pots and cake slicers. 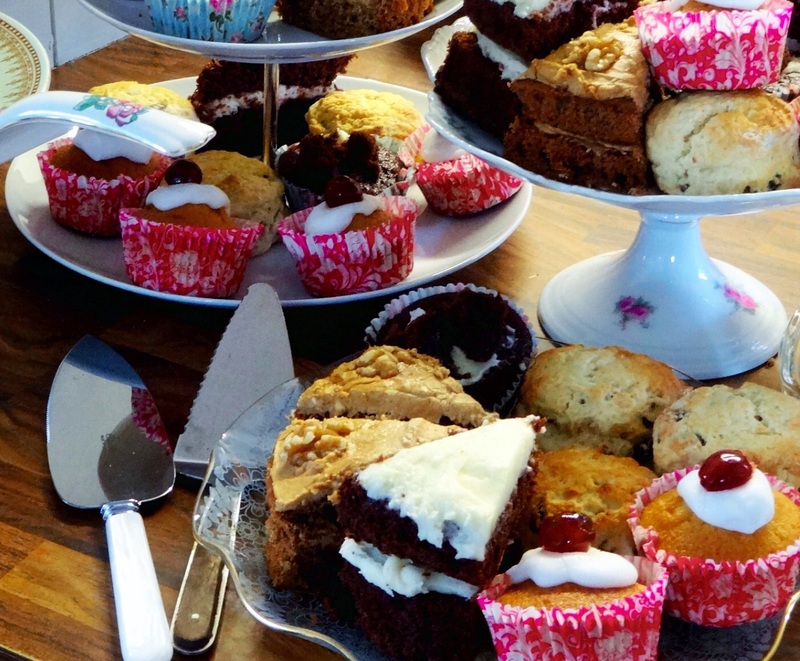 We need party bookings such as Christenings, weddings, hen nights, baby showers and special birthdays. The marketing push is planned to start next week with the printing of flyers and their distribution. Most importantly we are having fun and Nanna Amy’s linen legacy is being used and loved.